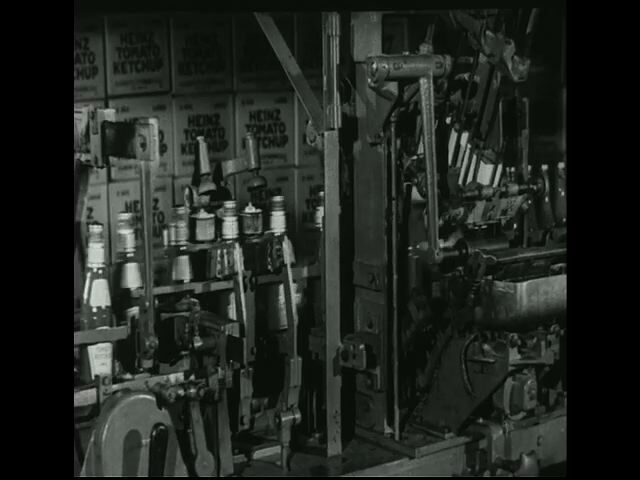 Packaged tomato products are labeled with Heinz stickers and packed in boxes. Tomatoes are cooked and then bottled. 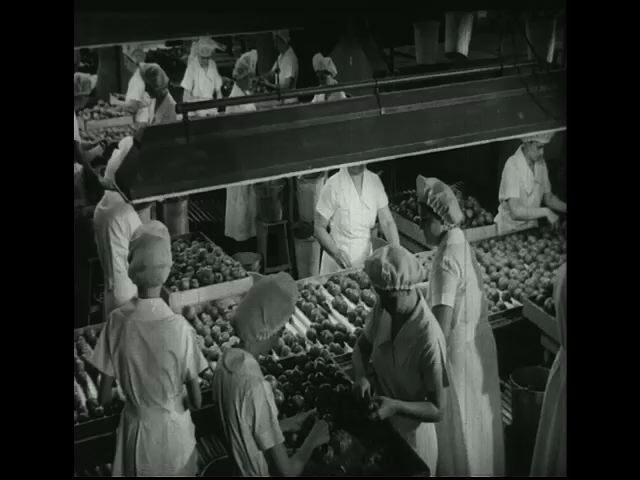 Prior to processing of tomatoes, they are hand picked by quality control inspectors. 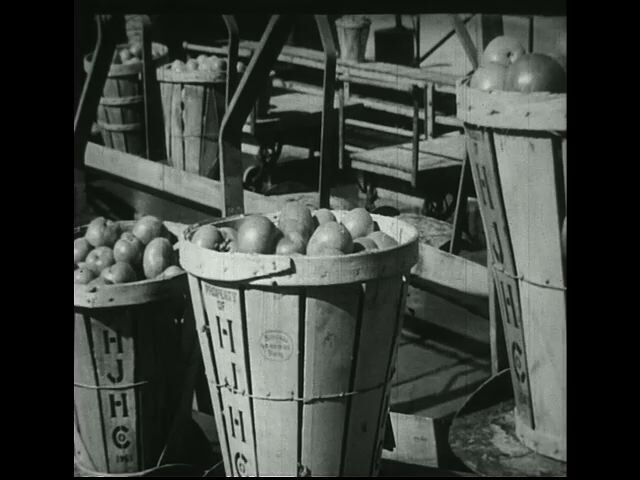 Before they go inside a machine for washing, tomatoes are inspected for quality. 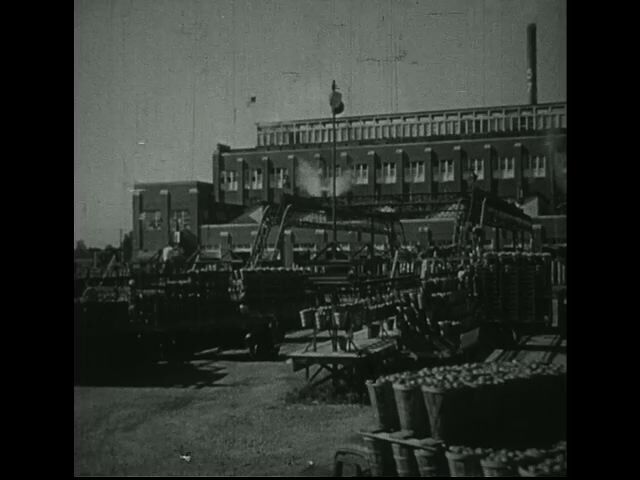 Pails of tomatoes are hanged on a chain that carries them inside a manufacturing plant. 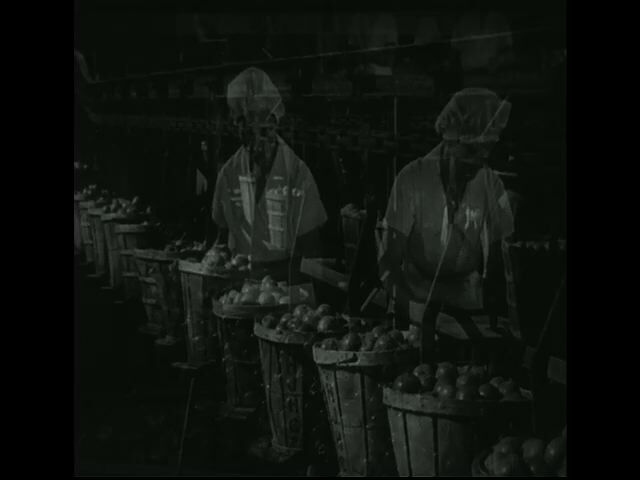 Tomatoes are loaded into a pail and placed on a line to be processed. 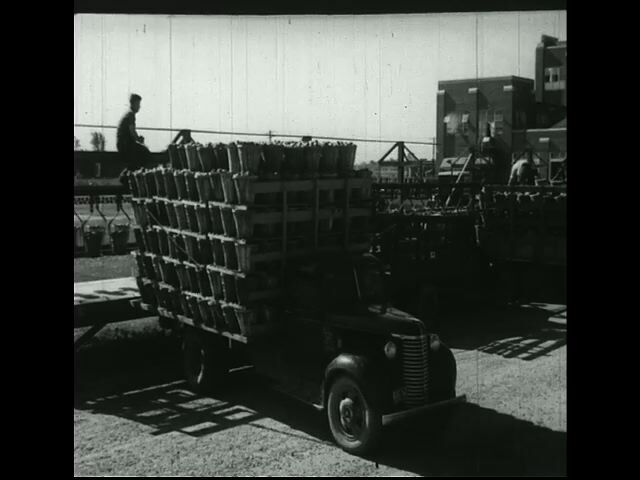 A truck brings crates of tomatoes to a processing plant. 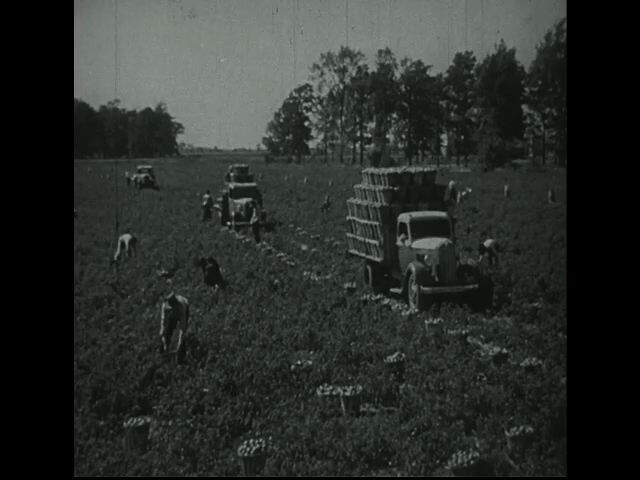 Farm workers pick their crops, place them in a truck, and send them out for delivery. 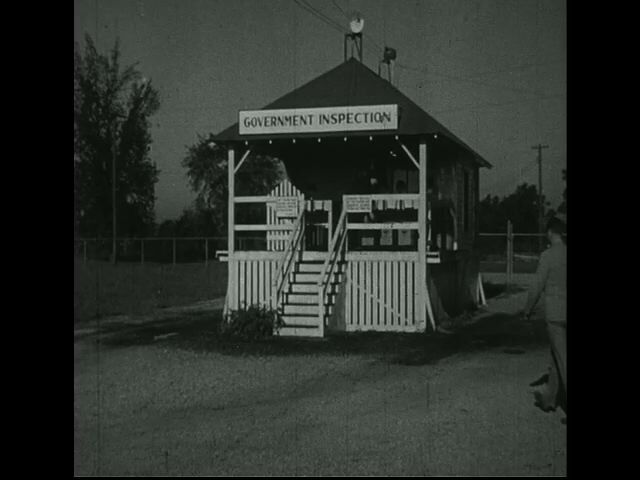 Two factory workers pass by a government inspection shack as they prepare to work. 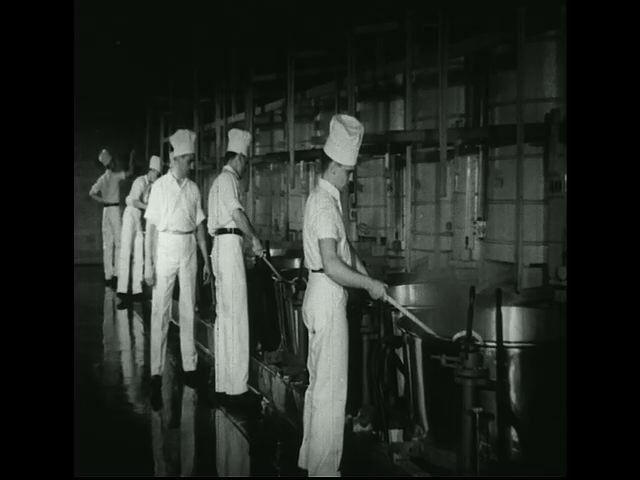 Factory workers clean manufacturing equipment and hose it down with water. Professional software for photographers and video producers.